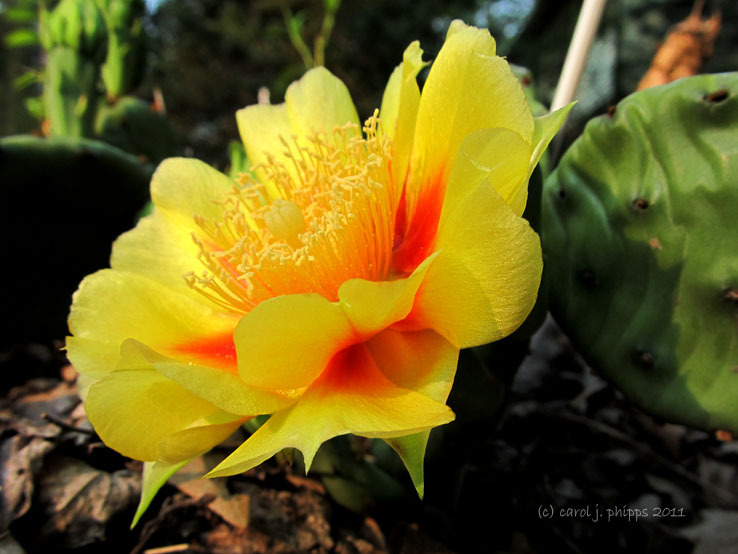 My first ever Bloom like this on a Prickly Pear. last month and tonight I found this bloom in the garden. I had to touch it to be convinced it was real! Very pretty flower. Well done. It is so common here that it does my heart good to see how excited you are about the bloom. It is beautiful and I am so glad you have nurtured it and been rewarded. This is beautiful! A great treat, Carol, superb image.